Muddy says: Parents of young children, breathe a sigh of relief. 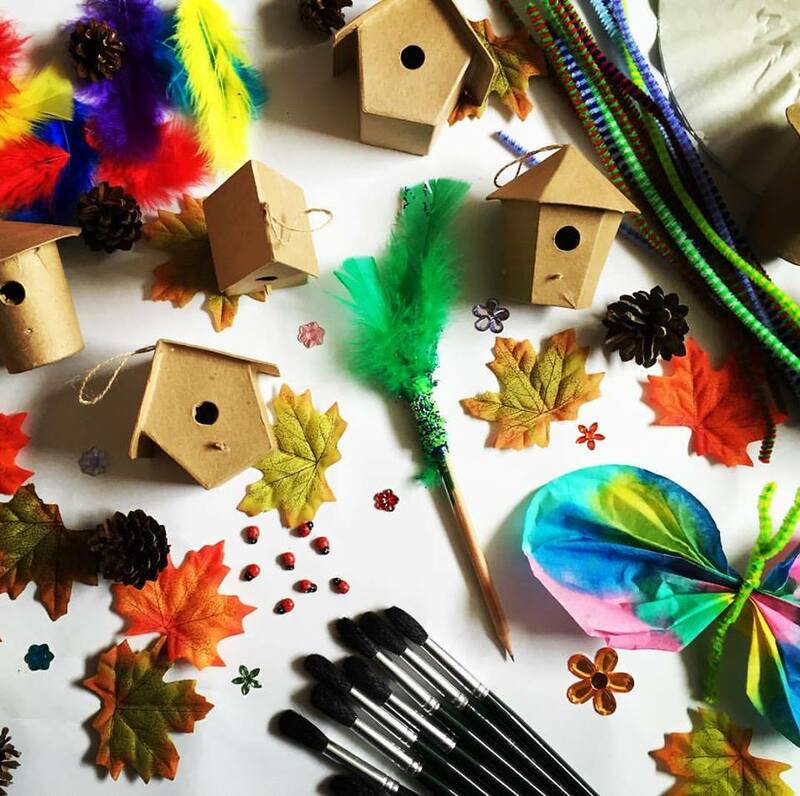 These clever craft and party boxes allow your 3+ kids the creativity they love – and you don’t have to lift a finger! Creativity in a box! 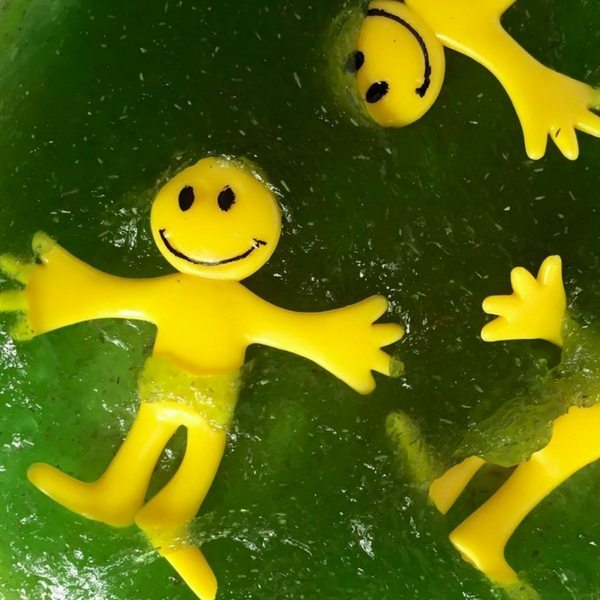 We’ve all been there with young kids, where we want them to be creative but can’t quite find the energy or time (or inclination – mea culpa) to do get out the glue, sequins and feathers. 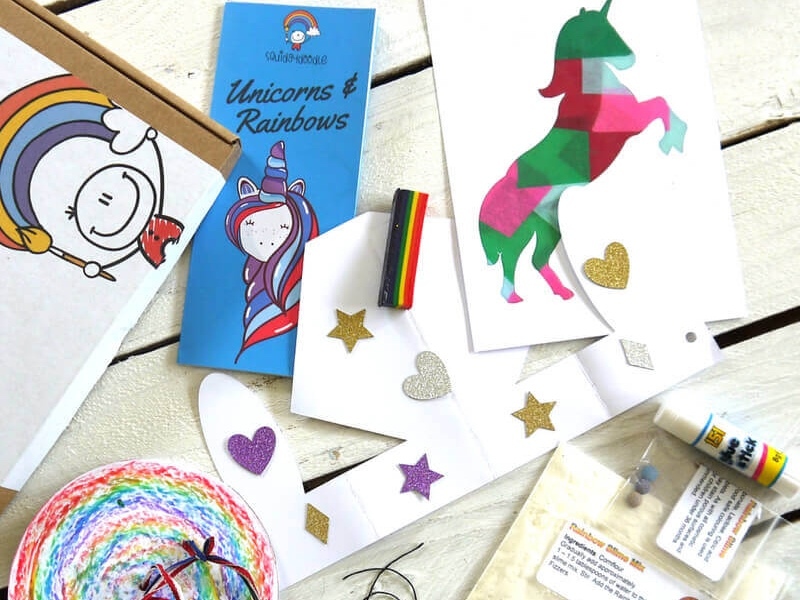 Squidgydoodle is a Beaconsfield-based business that takes the hassle out of entertaining kids 3+ with their craft boxes. For £12 you get four creative themed activities around superheroes, unicorns and fairies, spooky stuff and the seasons. Even more adult friendly (never mind the kids!) 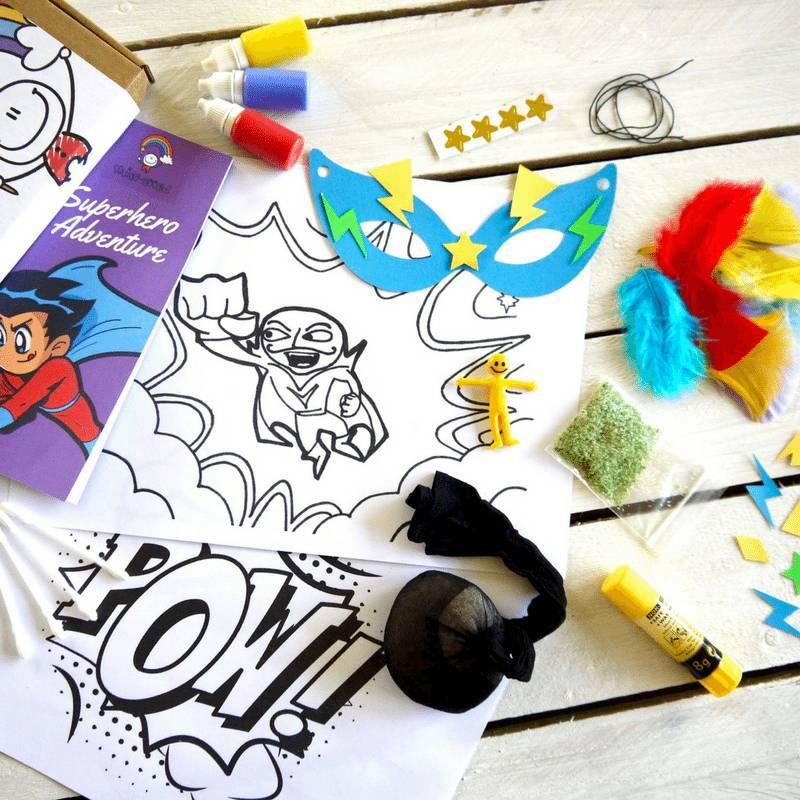 are the Party Boxes – basically a ready made party, you can choose from a Unicorn, Fairy, Rainbow or Superhero party, where 8-30 kids can enjoy prepped party activities and ideas, themed party game ideas, a free download for party invitations and thank you notelets for afterwards. We love the ease of it, and the price is good too – from £68. Squidgydoodle craft boxes are a brilliant way to spend a holiday with busy kids. I’ve tried the Winter Wonderland and the Spooky Art boxes with my daughters (4 & 6 years old) and they loved them as much as I did! The best thing is that my 4 year old can create something completely different to my 6 year old and neither feels as though they’re doing it the ‘wrong way’ because it’s not that prescriptive. Everyone is an artist with these craft boxes. And it’s fun! We all enjoyed the creative ways to make patterns and the kids especially loved rolling marbles around a box with paint and throwing rice bags covered in paint to make splats! Can’t wait to try the spring time box soon! I’ve bought various craft box’s for my son (3) from Squidgydoodle. He enjoys all of the activities, is immensely proud of his creations and it keeps him entertained for ages! I love that it fits through our letterbox, you get everything u need, clear instructions and even some keepsakes. More recently I’ve bought craft boxes as a gift when going to kids party’s as something different for them to receive and try out themselves. They have excellent products and great customer service. I definitely recommend. Thank you Squidgydoodle!